We are multi-award winning designers who collaborate with companies of all shapes and sizes to create exceptional new products and design solutions with enduring value. As designers, we are dedicated in our work and always determined to achieve the best possible outcome from any project brief. We are problem solvers, experienced in project management on all levels. 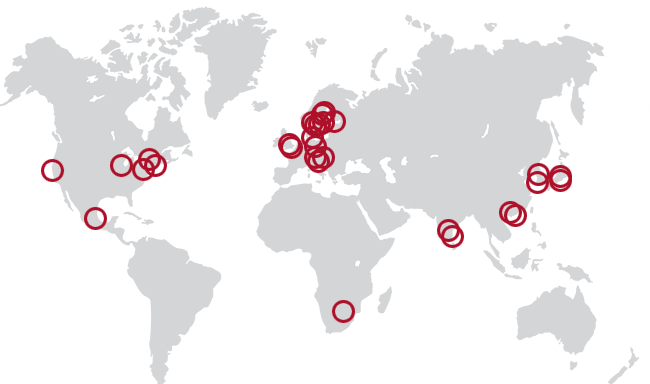 With numerous design projects carried out for more than 180 clients in many countries, we have experience from a multitude of areas, from telecom to transport, from music to medical. Our combination of industrial design, innovative product development, graphic design and visual identity has led to more than 50 international design awards. We are a trusted design partner, who can help you carry every project through from first initial idea to finalized product. 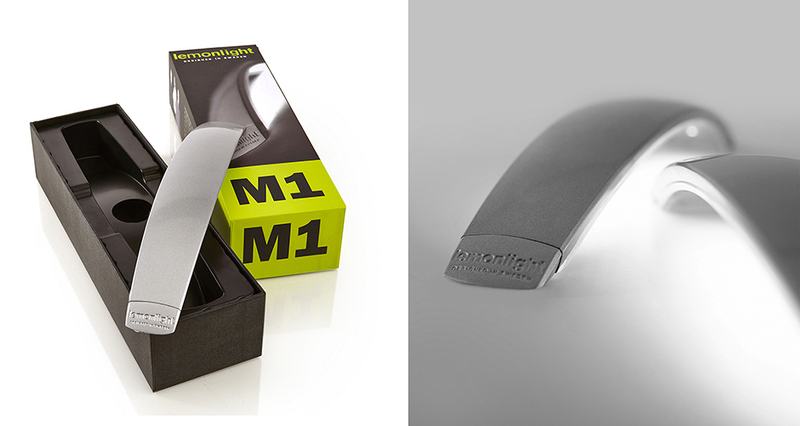 The Lemonlight M1 is the first in a new series of LED lights. Lemonlight M1 uses low energy leds and indirect, reflected light, with color temperature suitable for interiors. Arch-shape PCB between cast aluminium and transparent PC, giving a slim arch. Many placement possibilities. The Lemonlight product line, with M2 and M3 following, focuses on quality lighting with low energy leds, high quality in material and focus on design and innovation. APT4 Magnetic is a Swedish patent pending invention. It is fastened to the window screen by magnets, and sets the parking time automatically when you park the car. 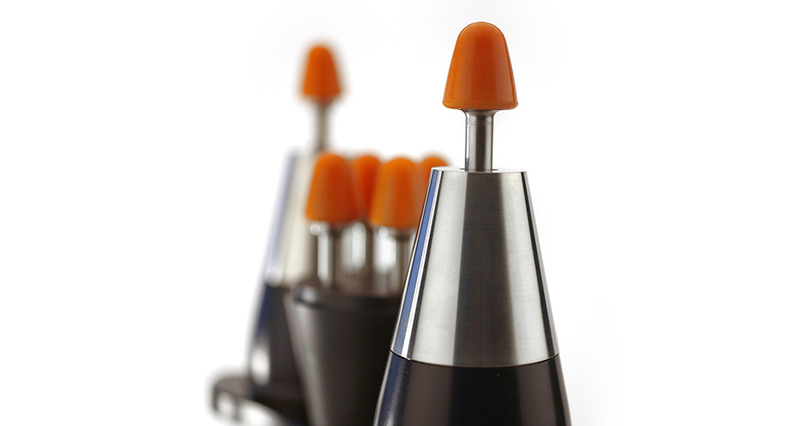 The magnetic solution simplifies the handling of the product. The product has been simplified with a reduction of number of pieces used. When not in use, the controls are hidden beneath the ring. The design optimizes each plastic piece in a sufficient, minimalistic approach. 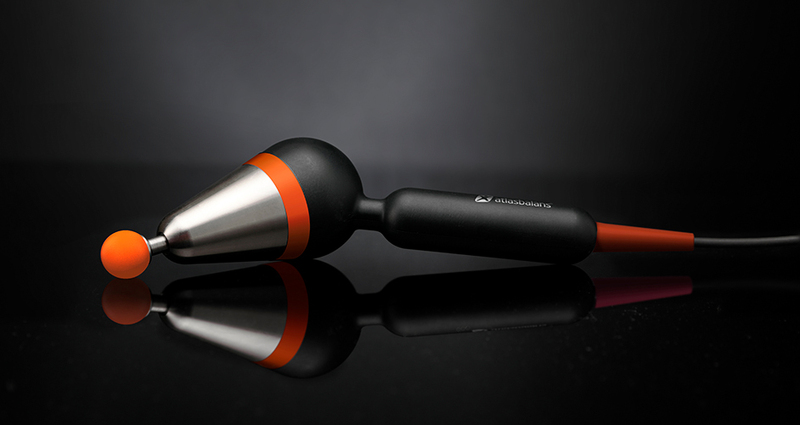 The Orange One is an exclusive osteopathic treatment tool, dealing with severe tension in the neck and back. Two vibrating handsets work parallel, each with different programs for depth, power, speed and rhythm. Product stand with weighted base for tabletop or floor placement. Custom-made transportation case. In the 2020 and Networked Society projects for Ericsson 2008–, ca. 50 product concepts have been conceptualized, designed and visualized, 140 additional concepts, 18 personas developed and over 90 stories written. See more examples in Spider Computer, Connected Container, Living Medicine, 3D Aquarium, Projector Lamp, Democracy Monument and Projector Computer. The IpTv Remote device was developed to significantly improve the value of Ericsson’s offerings to the consumers in the home, and thereby strengthen their role as thought leader within the Connected Home area. It received a CSI Award in 2010 and an Outstanding Technology Innovation Award at the Connected TV Awards 2011. 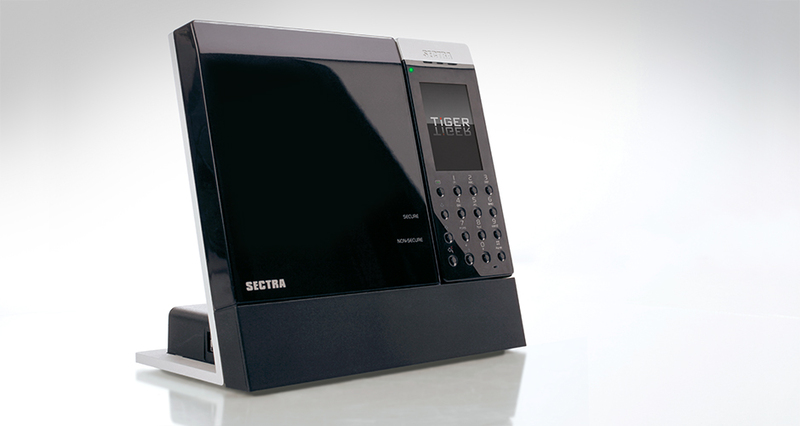 A mobile phone for secure telephony through voice encryption. It is as easy to use as a commercial mobile phone and supports features such as satellite communication. The design reflects reliability and professionality. While it behaves and looks essentially as a commercial mobile phone, it has a higher technical complexity and a much longer lifespan, which calls for a higher durability, and a more long lasting design language. The Biosens mobile drug testing system, used by police and customs, detects and tests for traces of drugs and narcotic substances in one system, through easy and non-intrusive collection of oral fluids and sweat samples. The design is constructed as a self-sufficient mobile unit. The detecting process has been simplified through a professional, user oriented design. Frank Etc. also designed the graphic user interface. Frank Etc. has designed a number of different dect and regular phones for Hong Kong based companies. Park armature designed for Philips Lys A/S in Denmark. The street light has been used for many years and can be seen for instance outside the Royal Academy of Arts in Stockholm and outside the Kista Science Centre, north of Stockholm. The Athena Light was exhibited in A Festival of Scandinavian Design on Design Museum in London 1992–1993. Frank Etc. has designed several of Edgeware’s products. The award-winning Orbit 2X Server is optimized for on-demand streaming applications, offering reliability, scalability and performance that are better than competing generic platforms. . 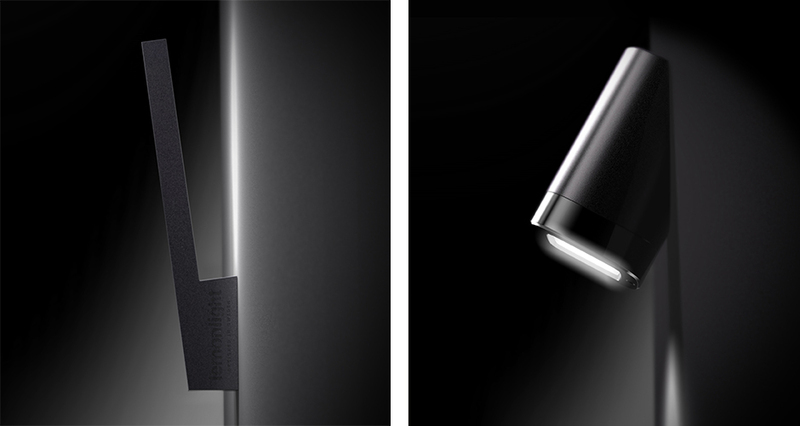 The design of the product is a tight precision casing of formed aluminium with front and back cover using etched plates. Metro train concept, developed in project for Stadler, Germany. The concept is to provide services through mobile broadband connection to remote areas. The Containers fit into the existing logistics of transportation, which allows for cheap and environmentally sound transport globally. Possible solutions include: Medical units, Pharmacies, Schools, Election units, Community centers, Market places, Banks, Entertainment. 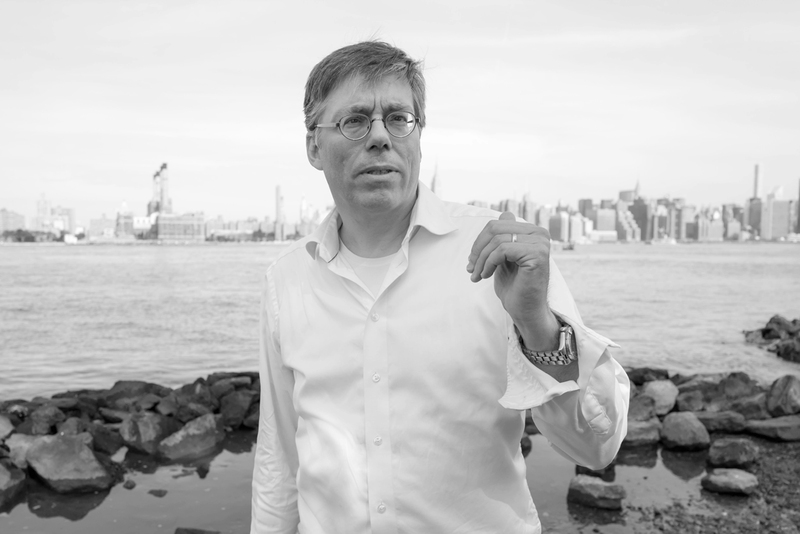 See more about the Life in a Networked Society project. Award-winning hands-free card reader with backlit touch panel, equipped with RFID reading technology for proximity cards and tags. Designed to be very durable, to be used both indoors and outdoors. 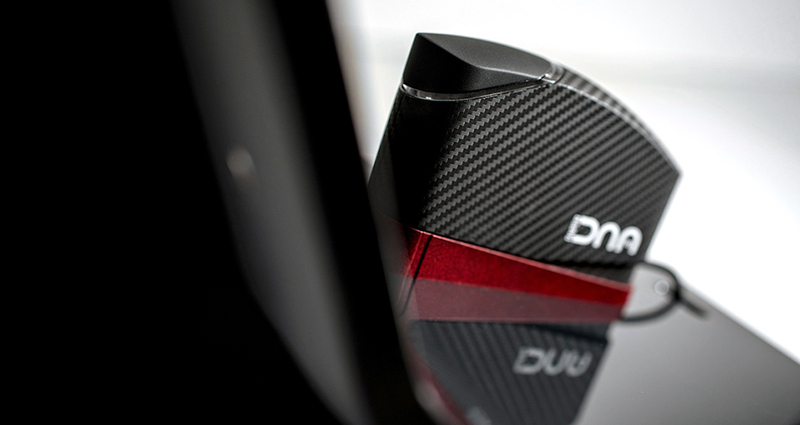 Specifically designed frame profile to adapt to various accessories. Back-printed graphics on the glass can be exchanged. The interface is made non-technical and user-friendly. The NordLead Virtual Analog Synthesizer was developed in cooperation with Clavia DMI. The product was a huge success. It was published in music press all over the world and has received several awards. NordLead and its successors are today one of the most famous synthesizers in the world. Frank Etc. designed many products for dental equipment for the Swedish company Amdent. 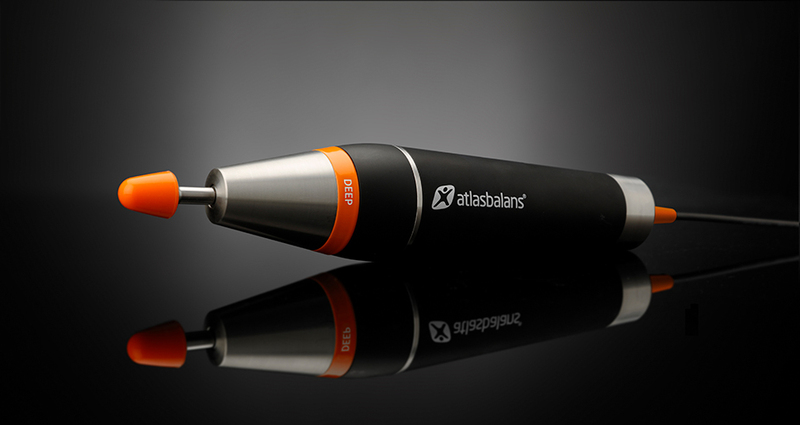 The cooperation led to several products, among them the award-winning Ultralight Scaler, with light embedded in the tip. Frank Etc. also designed the company’s corporate identity. The Mood product was a TV-box for broadband services, designed for the small start-up company i3 micro technology. It was developed to a very successful company and the Mood received much attention. It has received several design awards, in Sweden and internationally, and was selected to be permanently represented in the design collections of the Swedish National Museum of Fine Arts. The main unit is connected between the heating system and the existing outdoor sensors, i.e. no incision is made in the heat source. Manetos can be installed in all houses with waterbased heating. The system works, for example, with heat pumps, oil, gas, pellets and district heating irrespective of type and brand. Frank Etc. has developed many logotypes and visual identities for companies and organizations over the years. Several different suggestions and possible ways to move forward are always visualized. Shown here are just a few examples of finalized logos that in many cases have worked for many years. Tabletop scaler unit for dental care, developed in close cooperation with the dentist and offering scaling, endo and polisher capability. Hand-pieces and containers for liquids are placed in holders for easy access, positioning and exchange. The whole product is made for maximum hygiene handling, easy to clean and separate in parts. The control panel display keys for preset speeds that are coded to the specific scaler tip used. The Drumit Five digitals drums is a professional digital drum set for studio and stage developed in cooperation with 2Box. The rack stand is unique in its design and focused to be roadworthy and easy to set up. Several new mechanic solutions were introduced to build the rack, and its construction is far more simplistic and elegant than its competitors. The design for Clavia ddrum resulted in several different sets. 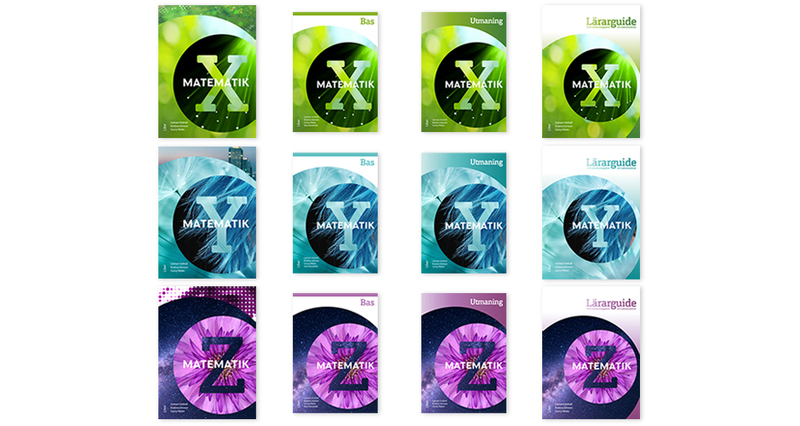 M-series is a complete line of ten math books fully adapted for the new curriculum for Swedish upper secondary school. 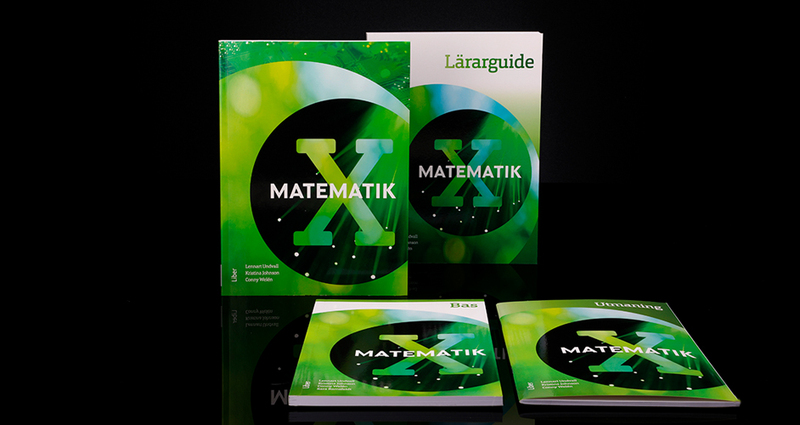 The books are related by their graphic identity, but each book is adapted to the nature of maths to which it relates. The graphic approach for the project has been to create a complete math book series, which is competitive, appealing and with a focus on educational content. Design consultant, IDEO Product Development, for the design project for the Amtrak Acela High Speed Train. The team received a Gold Award in the IDEA Industrial Design Excellence Award 2001. External design: Bombardier. 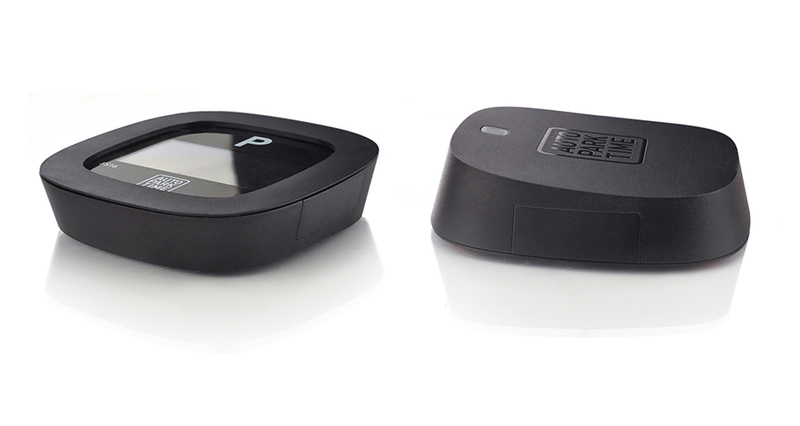 Tobii Pro Glasses 2 is a lightweight mobile eye tracking system with four eye tracking cameras, for human behavior studies in real-world environments. 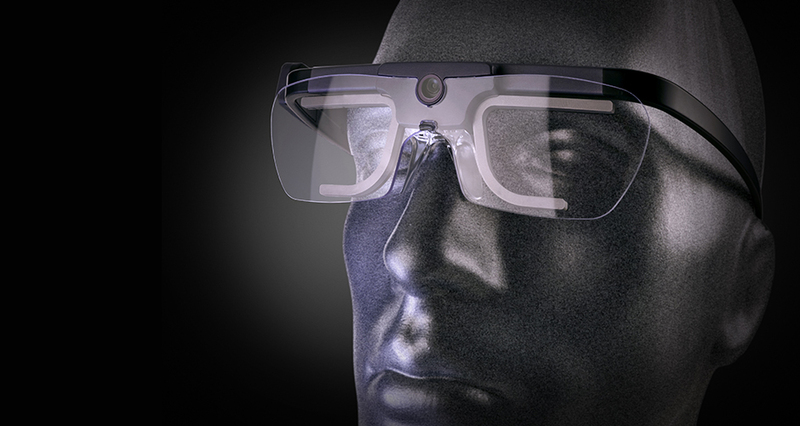 It is a wearable eye tracker designed to capture natural viewing behavior in any real-world environment while ensuring outstanding eye tracking robustness and accuracy. 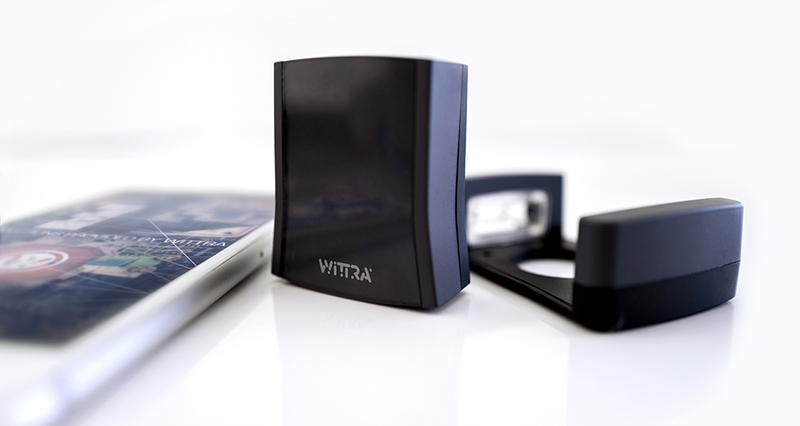 The key issues that Wittra® solves are reliable indoor positioning and minimizing the power consumption for positioning outdoors. By utilizing specific ISM frequencies together with patented positioning techniques, Wittra® can track items with very low power consumption and outstanding accuracy. The core concept is a modular system designed to suit a wide variety of users and markets. Since 2000, Frank Etc. has designed and produced information material for the City of Stockholm summer camps, intended to inform and guide the children and their parents in the different camps available. The main point of information is the catalog, which is sent to all children in Stockholm within the age span, but there is also advertising, exhibitions etc. The myAccess project for SICS investigates user needs and preferences for mobile services with a special eye on simplicity of use. Three devices were developed, LiquidMoney, MyLeash and ConsumerCheck. The devices address areas such as financial overview, mobile security and consumer awareness. The Vood, “Voice Options on Demand” product was a follow-up on the Mood, sharing the form factor with the MOOD, but smaller. The next generation of the Mood and Vood products had a new design. When the M2 Reader is placed in a pharmacy environment, the customer can verify products by reading the label with M2 Reader. The display stand has a touch screen to get the opportunity for more information. Lighting console for stage performance, developed in cooperation with an international project group, product design and graphic design by Frank Etc. Eirus Sensor represents a radical development in the field of microdialysis. A complex combination of different units has been transformed into a compact and mobile product, with a compact monitor and a unit small enough to be positioned on the patient. By reducing complexity, the Eirus Sensor is making technology less intimidating and worrisome for a patient in a serious health condition. Information meets architecture in a city environment. Citizens can take part in the democracy process in real time, view news, polls and elections and also communicate in real time with politicians. Different sorts of statistics, which is updated continuously, is visible on large screens, which are mounted between double durable glass walls. The Guide to Participation was created for Huddinge Kommun, as a guide for employees on how to create involvement of the citizens in the democracy process in their municipality. The project, which was enhanced by a colorful graphic language, became a huge success, and many other municipalities has followed in the steps of Huddinge. Frank Etc. designed a series of kitchen appliances: toaster, coffee maker and espresso maker for IKEA. Three concepts were initially presented, of which one was chosen for further development. The products were put in production and sold at the IKEA stores worldwide. The City of Stockholm Environment Center was created to educate, guide and certify companies in sustainability and environment issues. The certification was then transferred to the new company Miljöstegen. Frank Etc. designed the logo for the center, the certification program and the diplomas, as well as the logo for the new company Miljöstegen. The E-pt was a card reader that was designed with back light which made the semi-transparent blue plastic glow in the dark. The product was exhibited at Design:Stockholm, Stockholm City Museum 2005-2006. Frank Etc. has designed many products for the company Tilgin, previously called i3 micro technology. The Projector Computer was a further development of the Spider Computer, and was made a fully functioning prototype. It projects both keyboard and screen, utilizing the full potential of cloud computing. The Spider Computer has received several international design awards. 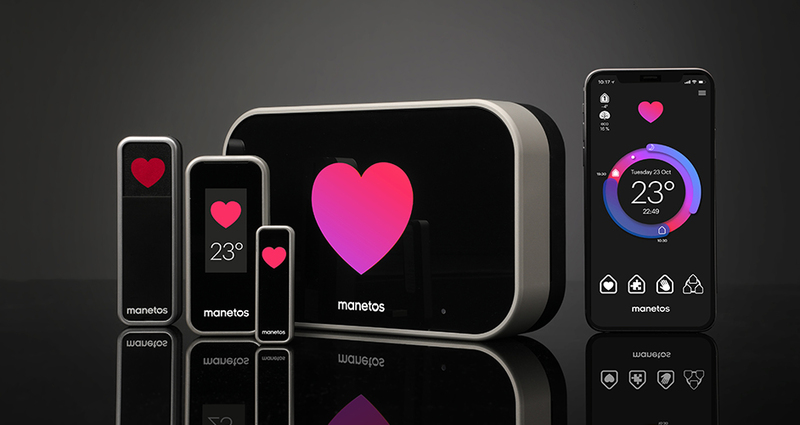 It was selected by the design site Yanko Design Top 50 – Best of 2012. The Mood server was a follow-up product on the Mood, a range of various servers, both for solitary use and for rack mounting. It has received a Good Design award. 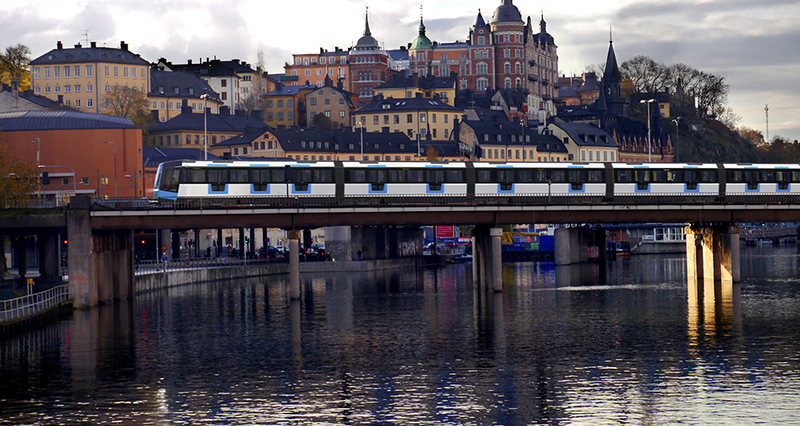 Design consultants for Stadler in their proposal for a new underground train for Stockholm. A set of strong key design elements were derived and evaluated: a future proof, unique train for Stockholm in the Scandinavian tradition. Atmospheric Lighting and A New Seating Experience. Start by giving us a call or sending an e-mail. After an initial meeting, where we together set the first outlines of a design brief, we respond with a detailed quote, including a project plan within the given timeframe and budget. In dialog with you, we prepare for the project by obtaining relevant information, which can include competitor analysis, technology, user studies, ergonomics etc. In order for the client to be involved in the design process, we always work in defined phases, where valuable input from all parties is included in the work. The key elements necessary for the design are defined, and a possible range of options are evaluated. A thorough design process leads to the first phase design proposal, where the concepts are visualized in detail. Together we assess the different concepts and choose a direction forward. The design is further developed in detail, and the design is developed into one final concept to be taken to the market. A professional product model is developed, to verify 3D design and ergonomics. The model can also to be used for professional photography and market tests. Close cooperation with mechanic development — the client’s in-house engineers or Frank Etc.’s resources — to ensure that design intentions are followed through in the productification. 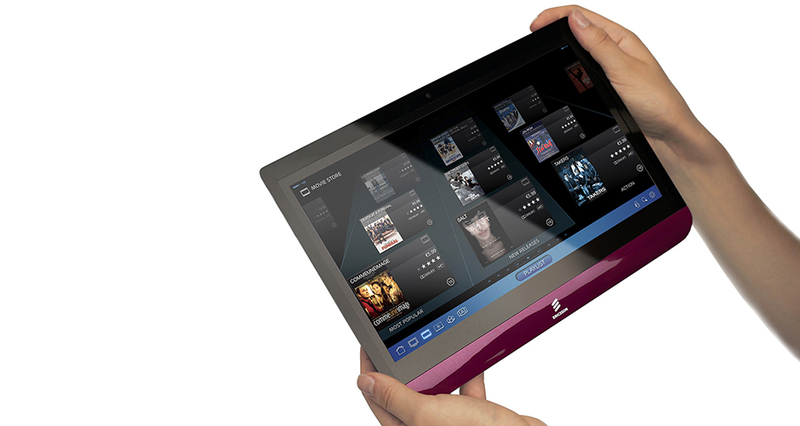 Graphic user interfaces are developed parallel with the product development. Product graphics is an important part of the design, and we provide artwork for print. Packaging, as well as additional printed material, is also part of our design offer, further ensuring a consistent design line accompanying the product. We can also review the over-all visual expression of the company and provide a design or redesign of the visual identity when requested. We are available during the productification phase to ensure that the design intensions are followed through to production. Detailed specifications of colors, surface finish and materials, evaluation of the first production samples etc. In many cases, the finished products developed in cooperation with Frank Etc. receive much attention. See examples below. Frank Etc. has been involved in projects in many parts of the world. Two GOOD DESIGN™ Awards 2018 for two products, The Chicago Athenaeum, Museum of Architecture and Design. Silver Award in IDA Design Awards, Los Angeles. Honorable Mention in IDA Design Awards, Los Angeles. 2018 Silver Prize Winner, European Product Design Award. Silver Award in the A'Design Award & Competition 2018. Bronze Award in the A'Design Award & Competition 2018. 2018 GREEN GOOD DESIGN™ Award. The Chicago Athenaeum, Museum of Architecture and Design. Two GOOD DESIGN™ Awards 2017 for two products, The Chicago Athenaeum, Museum of Architecture and Design. Bronze Award in International Design Awards, Los Angeles, 2017. Silver Award in the A'Design Award & Competition 2017. Frank Etc. receives AAA, highest creditworthiness, once again. GOOD DESIGN™ Award 2016. The Chicago Athenaeum, Museum of Architecture and Design. Gold Award in the A'Design Award & Competition 2016. Two GOOD DESIGN™ Awards 2015 for two products, The Chicago Athenaeum, Museum of Architecture and Design. Spark:Product Design 2015, Finalist. Spark International Design Awards, USA. German Design Award 2015, nominated for one product. Two GOOD DESIGN™ Awards 2014 for two products, The Chicago Athenaeum, Museum of Architecture and Design. Frank Etc. receives AAA, highest creditworthiness, once more. German Design Award 2014, nominated for two products. Two GOOD DESIGN™ Awards 2013 for two products, The Chicago Athenaeum, Museum of Architecture and Design. Spark:Communication 2013, Finalist. Spark International Design Awards, USA. Yanko Design. Design by Frank Etc.has been selected by the design site Yanko Design Top 50 – Best of 2012. GOOD DESIGN™ Award 2012. The Chicago Athenaeum, Museum of Architecture and Design. 2012 Spark:Pro Finalist. Spark International Design Awards, USA. 2012 Spark:Concept Finalist. Spark International Design Awards, USA. 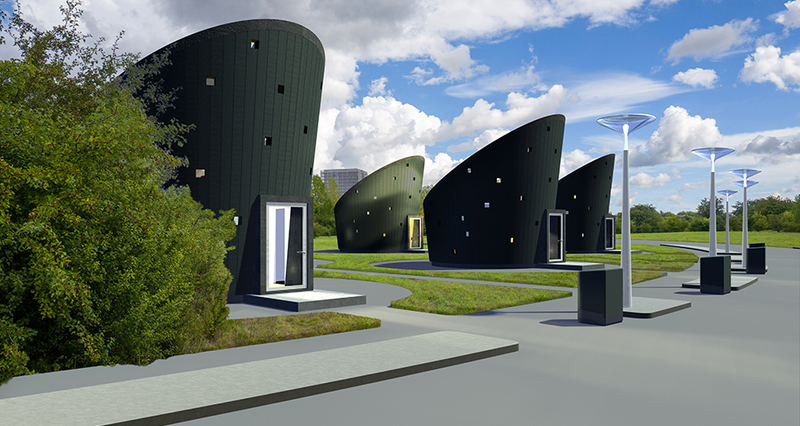 MA Prize 2012 – Green Dwelling. Honorable Mention for conceptual project in international competition. "Design is Human Week". Design Exhibition in Atlanta, Georgia, June 2012. 2012 Spark:Concept Gold Award. Spark International Design Awards, USA. Two GOOD DESIGN™ Awards 2011 for two products, The Chicago Athenaeum, Museum of Architecture and Design. GOOD DESIGN YEARBOOK, 2012. 2011 Spark: Pro Gold Award. Spark International Design Awards, USA. Outstanding Technology Innovation at the Connected TV Awards 2011 for Ericsson IPTV Remote Product. GOOD DESIGN™ Award 2010. The Chicago Athenaeum, Museum of Architecture and Design. GOOD DESIGN Event, Athens, Greece 2011. CSI Award 2010 for Ericsson IPTV Remote Product. GOOD DESIGN™ Award 2009.The Chicago Athenaeum, Museum of Architecture and Design. GOOD DESIGN Event, Chicago, USA 2010. GOOD DESIGN™ Award 2007.The Chicago Athenaeum, Museum of Architecture and Design. GOOD DESIGN Event, Chicago, USA 2008. Design:Stockholm, Stockholm City Museum 2005-2006. Frank Etc. represented with several products. GOOD DESIGN™ Award 2005.The Chicago Athenaeum, Museum of Architecture and Design. GOOD DESIGN Event, Chicago, USA 2006. Gwangju Design Biennale, South Korea, October-November 2005. Frank Etc. 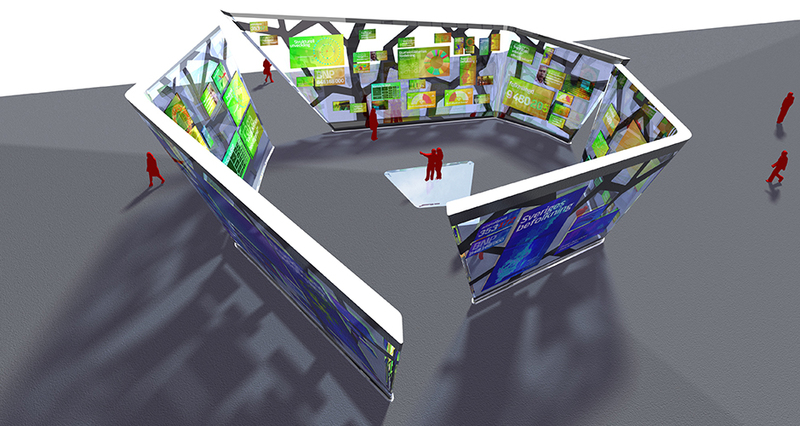 exhibited innovations and design of wearable technology at the international exhibition Future Life. Two GOOD DESIGN™ Awards 2004 for two products, The Chicago Athenaeum, Museum of Architecture and Design. GOOD DESIGN SHOW, Chicago, USA 2005. GOOD DESIGN™ Award 2003, The Chicago Athenaeum, Museum of Architecture and Design. GOOD DESIGN SHOW, Chicago, USA 2004. Separate design exhibition on wearable technology: "futureMobility; thinkWearable" at the Museum of Science and Technology in Stockholm 2003. Product inlcuded in the permanent collection at National Museum of Fine Artsin Stockholm, December 2002. GOOD DESIGN™ Award 2002. The Chicago Athenaeum, Museum of Architecture and Design. Exhibition and permanent collection, Chicago, USA. Excellent Swedish Design 2002, Selected industrial design. IDEA Industrial Design Excellence Award 2001.Gold Award as a team member with IDEO Product Development, for design work with Amtrak Acela High Speed Train. LG Electronics International Design Competition 1999. Award of Excellence for conceptual design. One of the world's largest design competitions, held every second year. 1999 there was 1700 participants from 50 countries. GOOD DESIGN™ Exhibition 1998. Product selected for exhibition and permanent collection. The Chicago Athenaeum, Museum of Architecture and Design, Chicago, USA. LG Electronics International Design Competition 1997. Award of Excellence for conceptual design. GOOD DESIGN™ Exhibition 1997. Product selected for exhibition and permanent collection. The Chicago Athenaeum, Museum of Architecture and Design, Chicago, USA. 8th International Design Competition 1997, Osaka Japan. Finalist, selected for the international design exhibition. GOOD DESIGN™ Exhibition 1996, Product selected for exhibition and permanent collection. The Chicago Athenaeum, Museum of Architecture and Design, Chicago, USA. LG Electronics International Design Competition 1995. Honorable Mention for conceptual design. GOOD DESIGN™ Award 1995. The Chicago Athenaeum, Museum of Architecture and Design. Exhibition and permanent collection,Chicago, USA. Excellent Swedish Design 1995, Selected industrial design. iF Award for Good Industrial Design 1995. IndustriForum, Hannover, Germany. Excellent Swedish Design 1993, Selected industrial design. A Festival of Scandinavian Design 1992-93. Represented with two products at the Design Museum, London, UK. The 2:nd Design The Future International Competition 1991. Pris for design concept concerning future communikation between languages , received in Tokyo. "Design for the future" 1990. Prize winner in Swedish design competition regarding electronic consumer product with environmental concerns. Forma Finlandia international design competition 1990. Selected for the international exhibition in the category "Tomorrow's Challengers”. Yamaha Audio System International Design Competition 1989. Pris i Tokyo. Large design competition for new loudspeaker technology. "New light over Stockholm" 1989. Scandinavian light design competition, first prize. Electrolux design competition 1986. First prize. Published in a wide range of international design- och branch magazines including AXIS, Design (UK), ID (USA)and several Japanese and Asian magazines. We started Frank Etc. in 1994 and have been running the company successfully ever since. Although we have a network of mechanical and electric engineers, printers, photo editors etc., we are the people you meet as a client, and we are in charge of all projects. Nikolaus Frank designs products and develops new product ideas for current development and production, but also for future products, making use of new, emerging and future technologies. Has designed transport, lighting, electrical appliances, telecom products and musical instruments, working with international design groups and development teams in UK, North America, and with companies in Asia. Was previously VP/Head of Industrial Design at Ericsson Mobile Communication, Division Consumer Products, where he initiated a new design centre and a new design line for the company's products. Graduated from Konstfack, University College of Arts, Crafts and Design in Stockholm, with a Masters Degree in Industrial Design, in 1987. Has taught as Senior Lecturer in Industrial Design at Konstfack. Nikolaus is a passionate hiker and enjoys the mountains in the north of Sweden in particular. He has always traveled extensively, in Europe, North America and Asia. Nikolaus also has a focus on different photography projects. 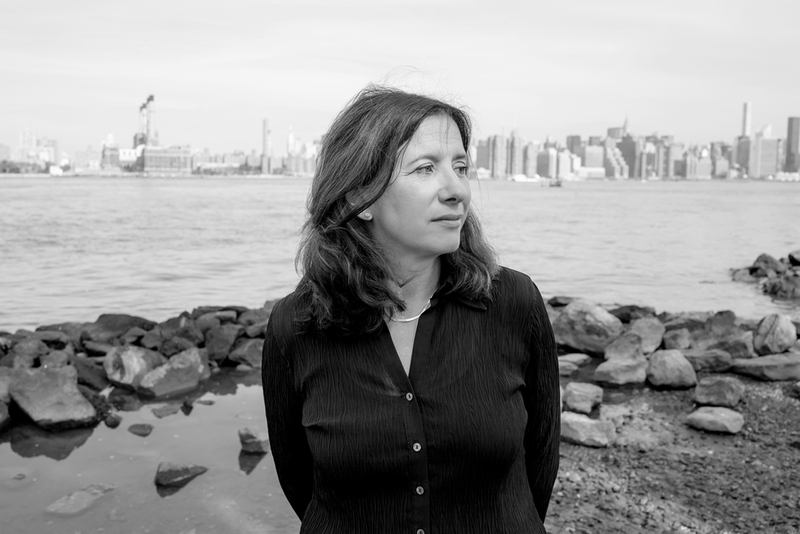 Cecilia Frank creates information design: through visual identities, printed publications, user interfaces, book design, texts and stories. Has created numerous identity programs, both for public projects, such as new residential areas, projects within the City of Stockholm, and for many different companies, focussing on visual strategy and brand building. Continuously works with book design projects, mainly in education, for the publishing industry, and also with writing, storytelling, text editing and project management. Background from various encyclopedias, including the Swedish National Encyclopedia. Graduated from Konstfack, University College of Arts, Crafts and Design in Stockholm, with a Masters Degree in Graphic Design & Illustration, in 1990. Academic studies in Film History and Media Communication, and work for several design studios in UK. Cecilia enjoys traveling and meeting new people and has traveled in many parts of the world. She writes travel blogs, as well as short stories and likes to spend time outdoors. Cecilia is passionate about music and is a member of a classical choir. Frank Etc. has worked with a large number of clients in many different areas, such as technology, multimedia, security, transport, medical equipment, musical instruments, publishing firms, municipalities, international design groups etc. These include Ericsson, IBM, City of Stockholm, IDEO, IKEA, Philips, Siemens, SICS, Liber, The Royal Institute of Technology in Stockholm and many many others. © Frank Etc. AB 2018. Frank Etc. is a registred company in Stockholm since 1994. The company has a high credit rating and is active within the fields of Industrial Design, Graphic Design, Product Development and conceptual design.